I spend a lot of time with a 6 year old boy, which is to say that I spend a lot of time tripping over forts improbably made out of board game boxes and empty toilet paper rolls. I don’t ever get used to it either. I’ve written about the tiny little pieces of things that send me over the edge sometimes, and I picture myself making good on all those promises to throw it all away or better yet, give it all away to a deserving, imaginary child who will take good care of these things, sorting it all into tidy boxes at the end of each day. And I notice right away when a space is absent of boys. I might walk into the home of a person who has two girls or even four girls (four! ), and maybe there is noise, maybe there is a karaoke microphone set up and Taylor Swift songs screeching into the quiet, and maybe it smells a little like cheap nail polish and the inside of crayon box. But I never trip over anything. I don’t step on a stray lego piece on my way to the kitchen. I don’t sit down on the sofa and, like the princess and the pea, feel the need to dig my hand into the crevices and pull out a matchbox car or a flashlight. There are no ottomans turned over, no shoe boxes with holes ripped out of them so that the poor stuffed animal inside can breathe. Six year old boys are special—maddeningly creative, smart, intuitive. They are builders and designers, ball throwers and questions askers. And sometimes they read, but mostly they need to be read to. Sometimes zombie stories and the diaries of forlorn little brothers. But most times, Frog and Toad and Stuart Little and a little Amelia Bedelia just so they can feel especially in the know before they fall asleep at night. But what has become of books for this age group, for this type of enterprising, wheels-churning kid? Where to go after Encyclopedia Brown and the Boxcar Children have solved their last case? 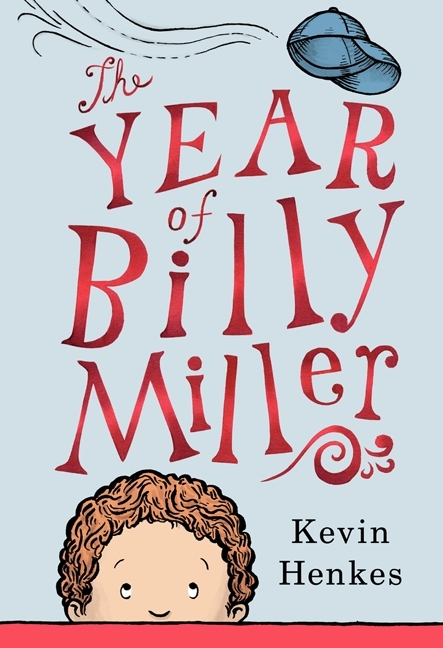 Read The Year of Billy Miller by Kevin Henkes. Read it every night, with the lights low and while your little boy, who is maybe emotional but definitely not dramatic listens to every single word of a book so quiet and so memorable, your voice cracks when you read it out loud. Billy is the rarest of characters. He is a very real reflection of the kind of boy I live with—the one with all the fort ideas. The one who pays very close attention when I explain something. The one whose fears are quiet and small, and hidden easily behind little shrugs and deep breaths. Billy is scared the way kids this age are scared—not of monsters and lightning, but of not being smart enough, of not being able to handle second grade or the sassy girl at his table. Scared of hurting someone else’s feelings, too. And the kicker here is that he summons the courage to do some very challenging things all by himself in that internal way that boys do things, even as he challenges others—to a stay-up-all-night sleepover or to a new way of looking at art. And then—ahem—there is chapter three in the section called Mother. And I can’t write about it or even think about it without feeling so grateful for it, for the portrayal of a mother so complicated and capable and a boy so very interested in her. To find the courage as a writer to tell the real story of how little boys and their mothers share moments, private and important and damp with night air but no tears. Well, this chapter is what makes this writer so special to me. This book is what makes him great. What Henkes is so brilliant at here is showing how eventually those tiny little pieces of boyhood get picked up and clicked back together and they become the building blocks of little men. Little men who use big voices and who want to do well every day, and who—in between building volcanoes and making mudballs—are mindful of others. Little men whose bravery reduces the voices of the mothers who read to them in the low lights at night to small, cracking whispers. Ultimately, The Year of Billy Miller is a family portrait. A smart and funny and charming look at the average American family. But if you look closely, you will also see what you look like on a bad day, and later on in the best possible light. And you will see your children dragging sacks of weird things down the stairs and making each other laugh. And you will see the disappointments and the triumphs of each day you spend trying to do better. You will see yourself in here and I suspect you will return to it time and again because it feels good and because you love it, and the best part is that your kids will love it to. Because it is a portrait of them and when you get down to it, what kid doesn’t like to stare at themselves making faces in the mirror? well, clearly, i now must read this book.